Motivating your employees to learn is easier when you understand how their brains work. The new training package you purchased from a trusted vendor has all the bells and whistles a cutting edge, immersive simulation; e-learning modules; and even live, in person classes. And yet six months later, your assessments reveal that the learning goals you set for participants have not been met. What could have gone wrong? As elaborate and comprehensive as the training was, it still may not have optimized the way your learners' brains work. 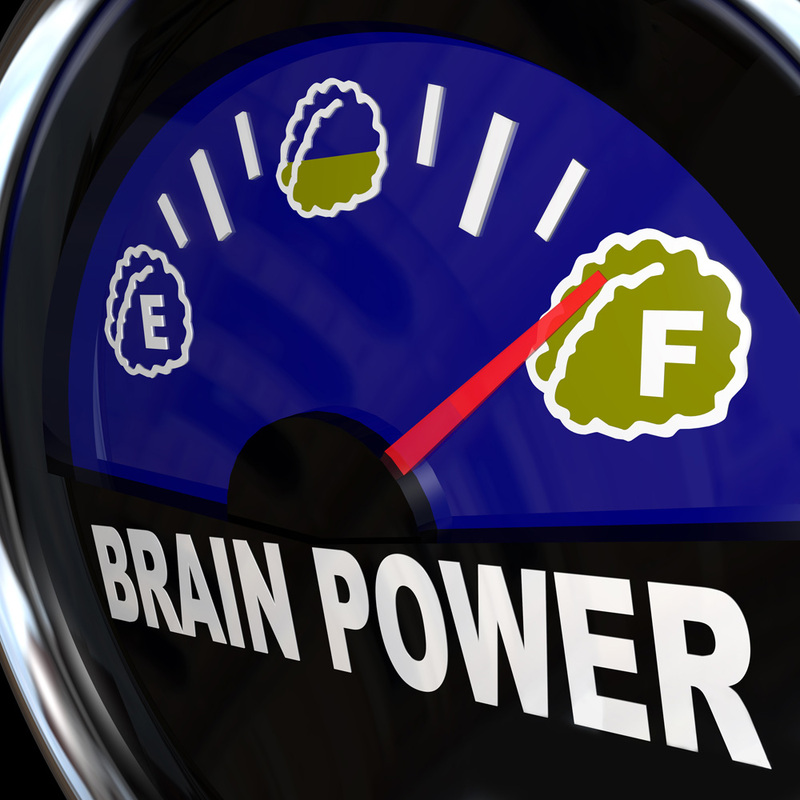 Training recently got input from several brain science experts and one corporate trainer on how to deliver training that optimizes your employees' brain function. "The medium is the message," Marshall McLuhan famously said and that appears to be especially true in training. If you and your company's executives are not showing through your own work processes and behavior what you expect from employees, your message likely will go unheeded. Even the mood of the trainer and managers can make a huge difference. "Thanks to the discovery of mirror neurons, we have found that individuals understand each other perfectly and tend to 'set in motion' in their own brain the areas related to actions and emotions they witness in others,"says Matteo Rizzato, co-author of "I Am Your Mirror: Mirror Neurons and Empathy." Rizzato says that before trainers and managers present to learners, they should assess their own state of mind. "The first thing I do when I walk into a classroom is to make sure my state of mind is clear and consistent: A minimum concern on my side would be detected and would ruin learning." Indeed, sometimes the greater training lessons—whether they be new manager training, corporate compliance, or learning the details of a new product—can be derailed by negative emotion in the classroom or work group. Training often needs to address underlying, distracting issues before learning goals can be reached. "A minor grudge between two people is often enough to generate a disagreement between them about the slightest possible matter," says Rizzato. "This can create conflict and a great productivity loss, as well as destroy company harmony, if the whole matter is not governed by specific training focusing on mood management." Most of us heard when we were in college that cramming doesn't result in long term learning, and that appears to be true, according to Alice Kim, Ph.D., of The Rotman Research Institute. Dr. Kim says research shows short learning modules over a long period such as six months or a year with practice retrieving the information is best. For example, rather than have new product training take place just six weeks prior to a product launch, it's much better to have it take place three months before or longer with tests each week in which learners are forced to retrieve the information they have committed to memory. Adhering to the two key principles of spacing learning out and practicing retrieval is far more important than worrying about catering to learning style. "It's a misconception that trying to match knowledge delivery to someone's personal learning style or perceptual preference translates to better learning," Dr. Kim says. "There is no scientific evidence to support it. On the other hand, there's a lot of evidence to support other proven strategies that training providers should be paying closer attention to, such as spacing out content and practicing retrieval." Formal learning structures with specialized modules or sessions sometimes are needed, but in many cases, learning by observing and doing and then informally getting evaluated is best, says corporate trainer Michael Blight, senior consultant, Walker Sands Communications. "If you are a smaller firm, less formal means of evaluation are fine,"he says. "For example, PR firms usually require their employees to interact with clients. Staff members typically sit in on calls with the client as they observe managers or other highertiered employees interact with the client." Blight also notes the importance of putting the learning into context so employees understand the company's ultimate goal. "Why is it that they are working for the company in the first place? Why is it important that they overcome these challenges? Employees need to get in the mindset of seeking out new challenges to continue to grow personally and professionally." Rather than rolling training out to learners, you can get them more engaged in the learning, and have the learning be more effective, by having them help create it, says Tim Riesterer, chief strategy and marketing officer at Corporate Visions. "If you can get participants to feel like they are co creating their experience, they will more highly value the training." Riesterer notes an experiment by Dan Ariely, a behavioral economist from Duke University, and his colleagues that shows the act of building furniture resulted in the buyer of the furniture valuing the furniture more. "The same could be true if you can integrate this co creation concept into your training offerings,"Riesterer believes. Taking Riesterer's idea, you could, for instance, have learners divide up the material, do their own research, and then take turns presenting to their classmates. Riesterer's colleague, Lisa Cummings, vice president of Products for Corporate Visions, says the language a trainer uses also should put the spotlight on the learners themselves. "The default is to say or write 'we' because it feels welcoming. It feels like collaboration and teamwork. You might say,'What we're going to learn today is…' or 'Next, we'll click here.' By shifting to 'you' phrasing, you're making your participant the hero of your story,"Cummings points out. "You're helping them try on what you're saying. By shifting to, 'What you'll learn today is…' or 'Next, you'll click here,'you're putting them at the center of the story." Similarly, Josh Davis, Ph.D., director of Research and lead professor at The Neuro Leadership Institute, says it is important for trainers to ask learners to apply the lessons to their own past experiences. "We all know from experience how good an insight can feel. It has been shown that one reason insights are so memorable is because of the increased emotional brain activity,"says Dr. Davis. "For example, after 15 minutes of sharing content, a trainer can pause, and give learners a question to write or talk about regarding the relevance they see." Mirror your lessons, demonstrating yourself (or having your managers demonstrate) the behavior you would like your employees to adopt. Confront psychological distractions such as discord between two co-workers that can inhibit learning. Space out learning and practice retrieval of information. A few months of learning presented in small bites, as opposed to a few weeks of crammed learning, is best, with small quizzes interspersed. Informal learning often works well. Have learners sit with or shadow more experienced employees and then have the experienced employee observe how the learner implements the new knowledge on the job. Give employees a stake in the training by asking them to help create it— maybe through offering key questions for the training to address. Explain to learners the big picture, or corporate goal, the learning is tied to, so they become more engaged and better retain the information. Break up lectures or content by asking learners to reflect back on their own past experiences to apply the new information they are learning. It's often reported that our knowledge of the brain doubles every 10 years; the recent explosion of research and methods means we may be learning much more, much faster. In some ways, this has been a mixed blessing for training professionals. While learning is a mental activity, and understanding how people think and process information is essential to engaging them and getting long-term results, I've heard more than one leader say,"It's all very interesting, but what do I do with it?" Every learner's brain is unique, specialized, and situational. We all have preferred modes of learning and thinking. Plan for a full diversity of styles, and be aware of how your own preferences affect you as the designer or trainer. The more important the learning points, the more important it is to bring in a "tapestry" of approaches that appeal to all the thinkers in your group. Mindsets frame how we see the world and can interfere with learning. To overcome the brain's resistance to change, use a "Whole Brain" approach: Provide context, engage emotions, introduce novelty, create meaty challenges, and provide time for processing and practice. The brain looks for patterns, and those patterns form the way we think. The brain will "fill in the blanks" based on prior experiences, so you can use this to your advantage to accelerate learning, but be careful of the mindset trap. The greater the mental stretch, the more energy it takes to learn. To make sure learners are mentally prepared for the challenge, prepare the brain by providing context and aligning design with the learner’s needs. Learners need stretch, NOT stress. Stress alters neuron growth. As you challenge learners, watch for too much stress, which will shut learning down. Learners don't pay attention to boring things. Particularly now, when there is almost an addiction to the constant stimulus of e-mails and other interruptions, if the brain doesn't have an array of different activities to engage in, it becomes bored. The brain isn't multi-tasking, it's task switching, and a wealth of research shows that it just isn't good at it. But face it: Your learners are multitasking, so plan for it. Provide email breaks and other options to keep them focused during the training. Memories strengthen during periods of rest, even when we're awake. Staggered training and breaks will help learners retain information they just learned. What isn't rehearsed doesn’t stick in long-term memory. For critical content that must be processed and moved to long term memory, make sure there is adequate learning, practice, and reinforcement time. The brain is wired to be social. Take advantage of online collaboration tools, and don’t forget the "old fashioned" methods such as mentoring and group work challenges. By Michael Vaughan, CEO, The Regis Company, and Author, "The Thinking Effect: Rethinking Thinking to Create Great Leaders and the New Value Worker"
Some people live to make lists. I even know someone who always starts each list with "Make a list" so that once they are done, they immediately can check something off. Understandably, our brains are easily enamored by a checklist or a step-by-step process or catchy acronym but that romance draws us steadily away from critical thinking. Our brains like the simplicity of a list because it keeps our brains from having to work too hard; the list does the heavy lifting (or so we tell ourselves). System 1 is our "fast" brain. Think of this as our automatic pilot or subconscious brain. System 2 is our "slow" brain. It is responsible for analyzing information, assessing data, and considering solutions. In real world settings, it's tough to trigger System 2 thinking, even though it's often more desirable. This is why lists or step by step processes do not help; they steer into System 1 thinking. After 10 years of researching critical thinking, we have discovered that at the core of effective critical thinking are good questions. Why? Because the right question can trigger System 2. Unfortunately, many questions we ask aren't "good" because they merely sooth our System 2 brain, allowing System 1 to jump up and provide a reflexive answer. Each brain is a searchable database designed to store information, find and retrieve answers, and solve problems. But the answers generated by the brain depend on the quality of the questions that are asked. Better questions make the brain search deeper, pushing past emotional or surface level responses (System 1) and searching for creative solutions (System 2). In the business world, individuals and organizations must ask good questions the kind that trigger System 2 and positively affect the direction you take. Unfortunately, most of our adult brains have suppressed the innate questioning talents we had as children (when was the last time a colleague repeatedly, doggedly asked, "But why have we always done it that way?"). So, instead of digging deeper into an issue, we accept what we see at the surface. It's similar to the way many people view their cars. On the surface it's a stylized combination of body, windows, and wheels, and if you pop the hood, you see an engine. You fill the tank with fuel, turn the key, and voila! it works. But if you know better and look deeper, a car is an intricate arrangement of interrelated systems composed of mechanical parts, electrical networks, and chemical reactions all working together to get you from point A to point B. Understanding your car at the surface may be just fine; however, understanding why your organization continues to spiral around the same issues time after time requires that you go deeper and understand the interrelated systems. It requires deliberate questions that trigger System 2 thinking. Seek to understand the big picture. Look at the situation from a variety of angles and points of view. A narrow viewpoint only limits your ability to see what really is happening. Seek to surface limiting beliefs. Ask tough questions and challenge all assumptions about what is happening and why. Wishful thinking, seeking information that confirms an existing bias, or framing questions to get positive responses will only exacerbate the problem. Seek to understand the underlying dynamics. Identify interdependent factors that contribute to a problem. There is often more than just one, and simply "fixing" one aspect of the problem may create new ones. The discipline of critical thinking requires just that: discipline. No amount of lists or acronyms will help trigger the brain power that is needed those over-simplified approaches will mire you in knee-jerk reactions. Instead, go deep. Ask the questions that make people squirm at first but eventually lead to thoughtful solutions that address the underlying issues.